Create your customized hardscape with Mueskes Landscape and Snow Management. 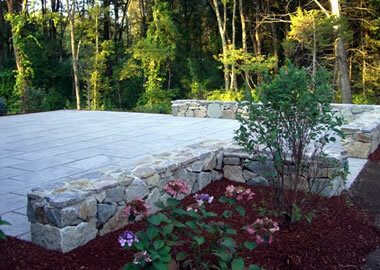 We have been installing walls, walkways and patios for customers throughout the Merrimack Valley and Southern NH. Our projects range from small walkways to large parking lots and business entrances. Contact us for a free estimate or more information. Why choose Mueskes Landscape and Snow Management for your Hardscaping Project? 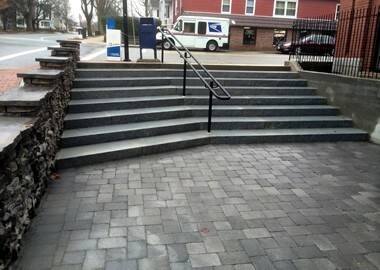 Experience: We have installed everything from a small walkway with some granite steps, to large commercial parking lots and entranceways with pavers, granite curbing, steps and walls. Technique: We follow proven and consistent preparation and installation techniques to ensure your hardscape will last a lifetime. Cost-effective: We provide a breakdown of all costs involved and we guarantee fair and reasonable pricing. Products: We offer the best products from proven suppliers and we assist you with choosing the proper stone for your desired outcome. Timeline: We follow a strict schedule and update you with any changes to our quoted finish date. Bottom line – we know you want the best product for a fair price and deliver on time. 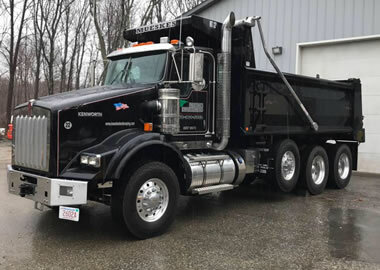 Knowing that there are many other companies to choose from, we strive to offer the highest quality product that lasts well beyond our competition. 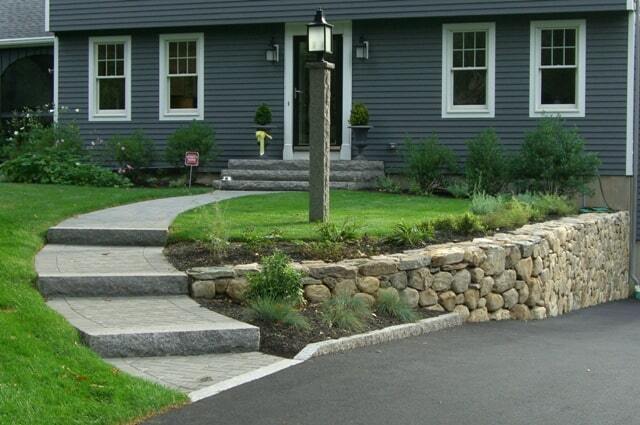 We are the clear choice for hardscape installations in Massachusetts and southern New Hampshire.